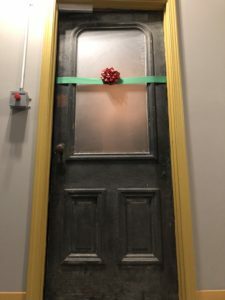 A Gone In 60 Escape Games gift certificate is perfect for those hard-to-buy-for family members, friends, or co-workers. Click the button below and choose an amount to gift. Adult “tickets” are $29 and students are $24. A private room experience (8 spots) are $224. It will request ‘To’ and ‘From’ information. You can send the electronic gift certificate directly to a recipient. If you would like to present yourself, you may enter your own email address to print out the certificate or write the code in a card. You may also purchase onsite. Can I choose the booking day/time? No, there is no option to select the day and time for gift certificates. It is the recipients’ responsibility to schedule their experience and redeem the gift certificate code. Gift them the experience of a fun-filled, brain-teasing, lol-ing good time!